Summer is here and that means it’s time to get dirty -- literally. When you start planning a vegetable garden, it’s easy to overlook some key details in your excitement. Before you start planting your dreams in the dirt, here are five important tools you need to start a proper vegetable garden. You read stories online about random pumpkin patches popping up after Halloween, but most seeds from your local produce aren’t going to reproduce; in fact, many strains of produce bought from the supermarket are infertile to prevent you from gardening yourself. Luckily, seed packets are a great option to get started. You can also visit your local farmers’ market to get high-quality, affordable seeds. If you’re flexible, getting a starter plant to practice growing in your garden is a great way to see if you’re up to maintaining a garden yourself. Garden hoses come in different shapes, colors, and levels of quality. Because of this, it’s important to pick the right one before you start your own garden. Many hoses are built for cleaning, meaning that the manufacturer won’t care if some chemicals or toxins get in the water. Instead, look for a gardener-proven, never kink hose to provide the best amount of water for your plants with the right quality. The flexible hose is great for water distribution, while a spout with a sprinkler setting is a great way to deliver the right amount with the least force. If you want your garden further from your house, flexible garden hoses range anywhere from 25 feet to 100 feet. This little shovel works wonders for weeding and planting. It enables you to dig weeds up at the roots and handles small digs for your seeds with ease. You won’t be able to plant anything if you don’t have a flexible tool that performs an array of different duties. 4. Forks, spades, and rakes, oh my! Forks, spades, and rakes are all pretty similar but the scale is what really matters. Rakes are great for large plots when you’re preparing your soil for the planting season. This is good for surface tilling and removing any scrub or weeds that has invaded your space. Forks and spades also come in different sizes but they’re both used for turning earth and loosening soil; the larger options can be used for large plots while the smaller ones are perfect for raised garden beds. You may have some great dirt in your garden already, but it’s likely that you’re going to have to buy some new soil for your vegetable garden. Regular dirt is not treated with the vitamins, minerals, and organics necessary to help your plants grow. 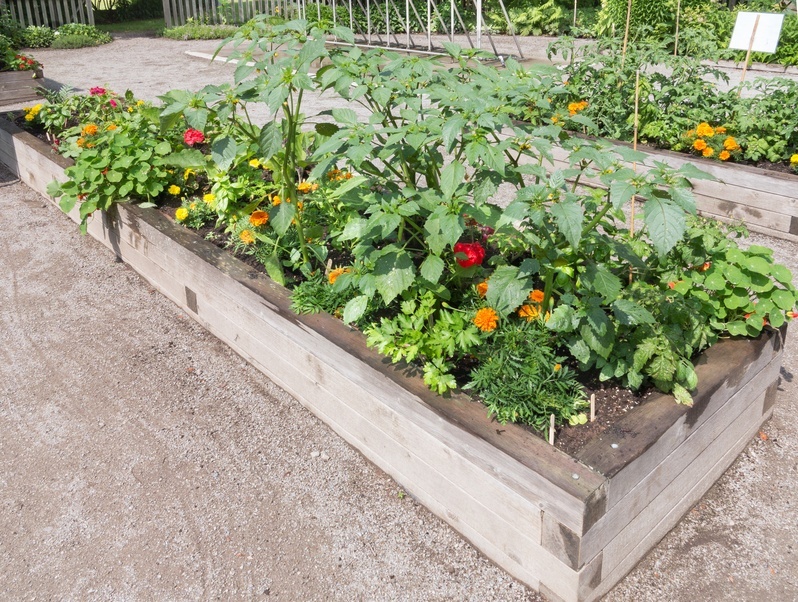 Buy a soil created for vegetable planting and moisten it with your flexible garden hose before you dig in. Are you ready to start your garden this season?